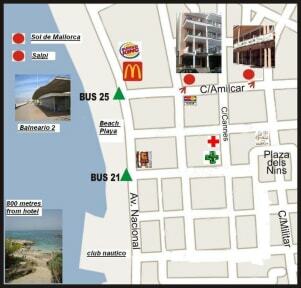 We are a small and friendly hostal, creating a warm and friendly atmosphere. We stay a 50 metres from the sandy beach. We work with Erasmus world, we have a special discounts for Erasmus Students. 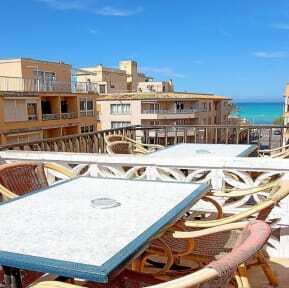 The ground floor bar area also has internet access and satellite TV and wifi free charge. We provide umbrellas and beach towels free for our customers. We offer basic, good value accommodation , We have microwave, fridge and warm water at the lobby of the hotel for community use. We have room to take a shower the day of departure and luggage storage. For SMART travellers they are the SIMPLE way to holiday in Spain. Time to explore and to travel as you wish.